Unfortunately the mouse doesn’t work under QEMU. Either in PS/2 or serial mode the cursor randomly jumps around with a tendency to hang around top line of the screen. Yes, it even looks like OLWM. is this really x11, or just looks surprisingly similar? No, it’s not X11. QNX never had X11 even in the most recent version. 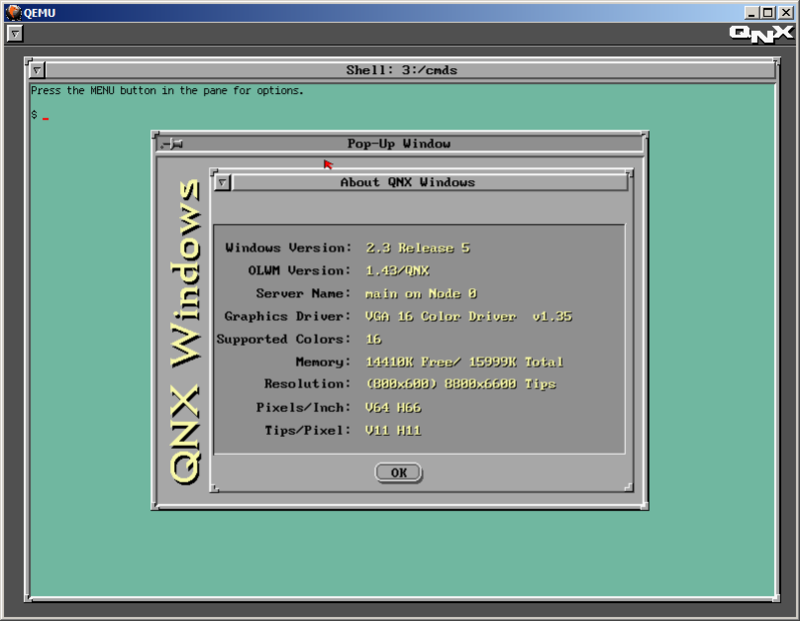 The first version was called QNX Windows (on the screenshot) and later they were called Photon Micro GUI.  Both of them have nothing to do with X11. That however doesn’t mean you can’t use a “familiar” window manager. Also notice that old versions of Solaris did not have X11 but rather NeWS, yet they also had OLWM. http://en.wikipedia.org/wiki/NeWS. 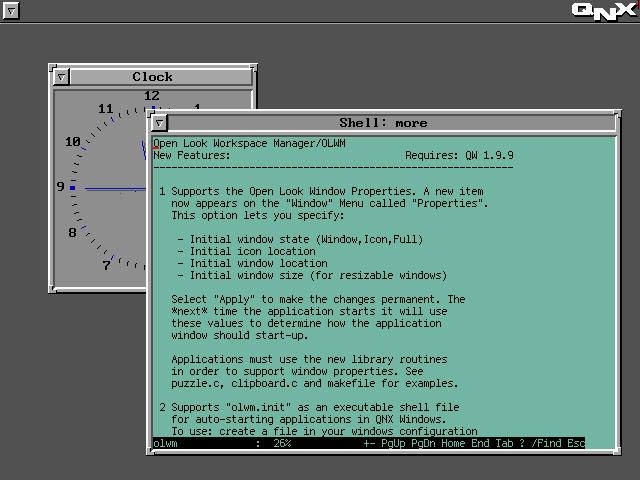 I think that OLWM must have originated in NeWS and be later ported to QNX Windows and X11. so just to clarify, is it olwm running on top of qnx’s own display server called ‘qnx windows’, or is it only qnx windows with borders and widgets made to resemble those of open look? 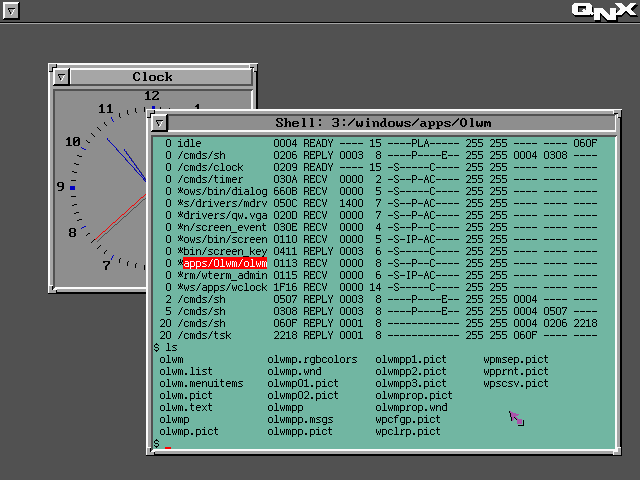 Yes it actually is OLWM running on top of QNX’s own display server – QW. See couple of screenshots I’ve added. There is an OLWM process, folder and a readme file for it. What version of QNX was this under? Was it an add-on product, or bundled with the core operating system?